We just celebrated baby’s first Thanksgiving, it was awesome. Can you believe that Christmas is just around the corner? I wanted to share some success stories with you from my last Momentum event to help you get inspired, and see what’s truly possible for your business. 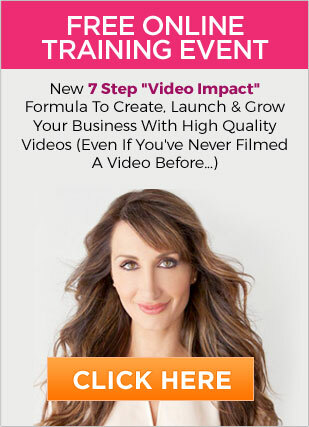 You’ll meet four extraordinary entrepreneurs, who’ve created real Momentum in their business. Biba launched her first webinar series and had 13 people join her in her mastermind. She added $70,000 into her business. Camden went from charging $100 an hour, coaching one on one, to having a client pay her $11,000. The best part is she made $100,000 in less then a year, and had her first five figure launch (and she wasn’t online before this). We did some coaching to shift his mindset, and he’s now a rockstar in his videos. He feels more confident, which has helped him to make a bigger impact, and attract new clients. Jessica Higdon always wanted to launch a product. She took a leap of faith and doubled her income, and made over $800,000 in sales from one product. Then she made six figures at her event. 2015 is just around the corner and isn’t it time that you created Momentum in your business so you can create the consistent cash-flow you desire, and enjoy your life. PS They share their best tip’s and advice on what they wish they had known before starting their business.